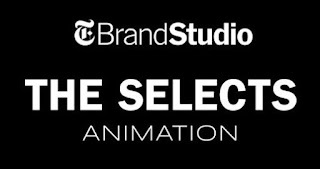 Two years ago, T Brand Studio, the "brand marketing unit of The New York Times," sought out five exciting live action filmmakers to be part of the creative force for their content and advertising. I'm thrilled to announce that I was picked to be one of those five animators/animation teams that will collaborate collaborate with T Brand! I'm humbled by being in the company of these other four choices and I can't wait to see what opportunities may present themselves through this new partnership! May 28: Hard copy of the paper is out on newsstands!! Hey, that's me in the @nytimes today! So excited to announce a collaboration with @tbrandstudio!! !